Its winter, meaning its cold, rainy and cosy. The perfect way to enjoy a cosy weekend inside by the heater is with a warm and decadent hot chocolate. 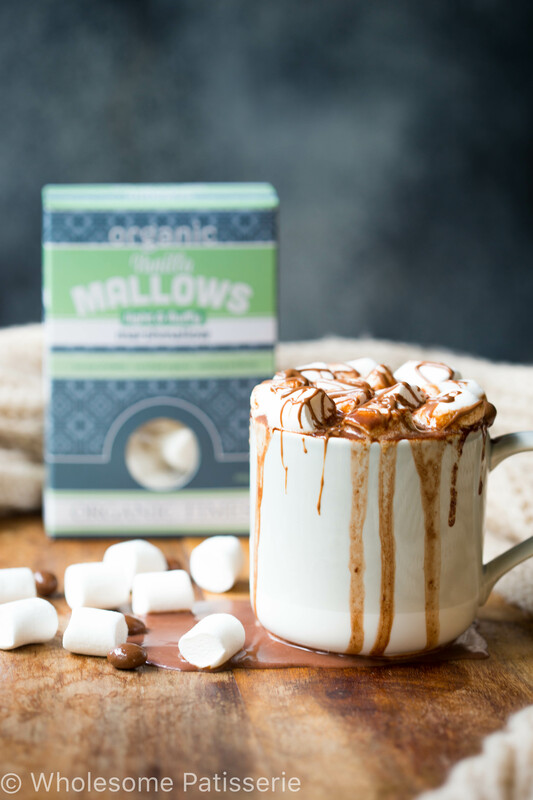 Infused with real chocolate, a hint of coffee and topped off with fluffy marshmallows. I have to say, i’m your classic hot water and some pre-made hot chocolate powder in a mug kinda girl (well i was), until i discovered the beauty of making your own hot chocolate on the stove. Creamy, chocolatey and heart warming, i promise that you won’t want to go back after tasting this mug of pure chocolate beauty. 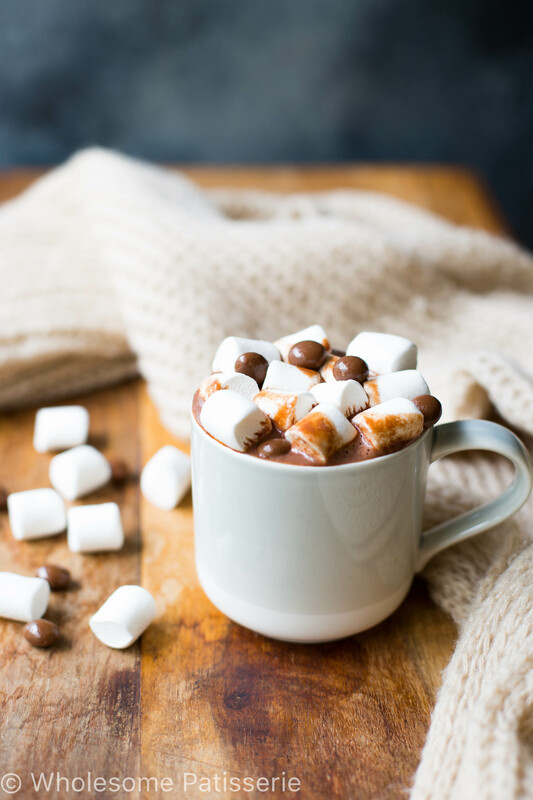 You can of course omit the extreme amount of fluffy marshmallows i topped the hot chocolate off with, hey… you gotta do what you gotta do for an epic photograph! I’m not even sorry that i drank this entire mug, marshmallows and all, YUM! Now you have heard me mention that this has a hint of coffee flavour, thats because i added chocolate covered coffee beans as a decoration along with the marshmallows. Once i was done shooting, they had melted through the drink and oh em gee… it was amazing. As you may or may not know from reading my previous posts, I’ve never been a coffee drinker but i think I’m slowly discovering the deliciousness of a cup of coffee. I’ll slowly introduce it by mixing it through my hot chocolates, because thats just double the deliciousness, durrr! 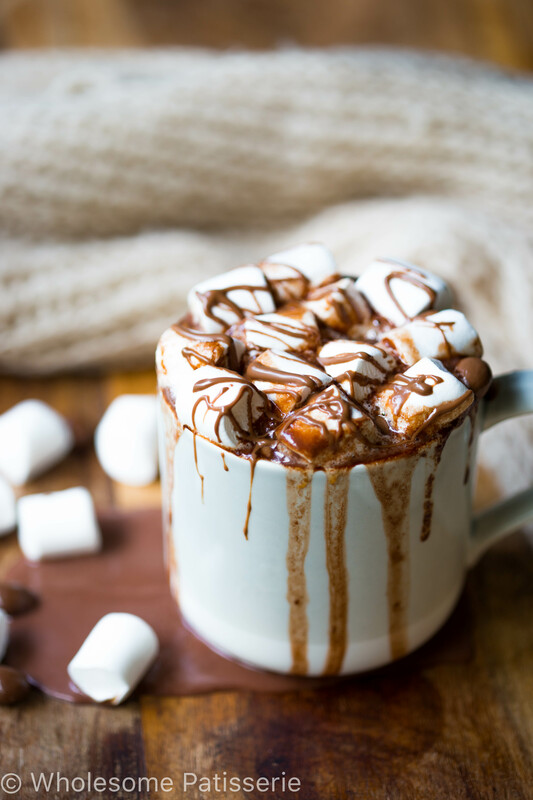 Hope you enjoy this tasty hot chocolate! 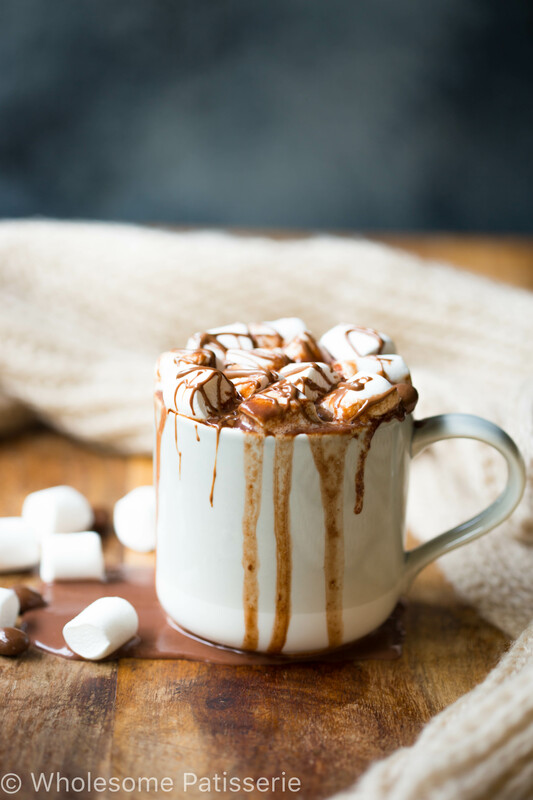 Epic stove top hot chocolate recipe. Creamy, chocolatey and heart warming. Perfect for those cosy winter weekends! In a medium sized saucepan over high heat, bring milk, cocoa, sugar and vanilla to a boil. Whisking occasionally, this will make it frothy. You can also use regular milk or any non-dairy milk of choice. Coconut sugar is a suitable alternative to rapadura sugar. Wholesome Patisserie has partnered with Organic Times for an exclusive endorsement of Organic Times classic pantry items. This recipe is sponsored by Organic Times.